The essence of the national anthem resounds through this imprinted calendar! 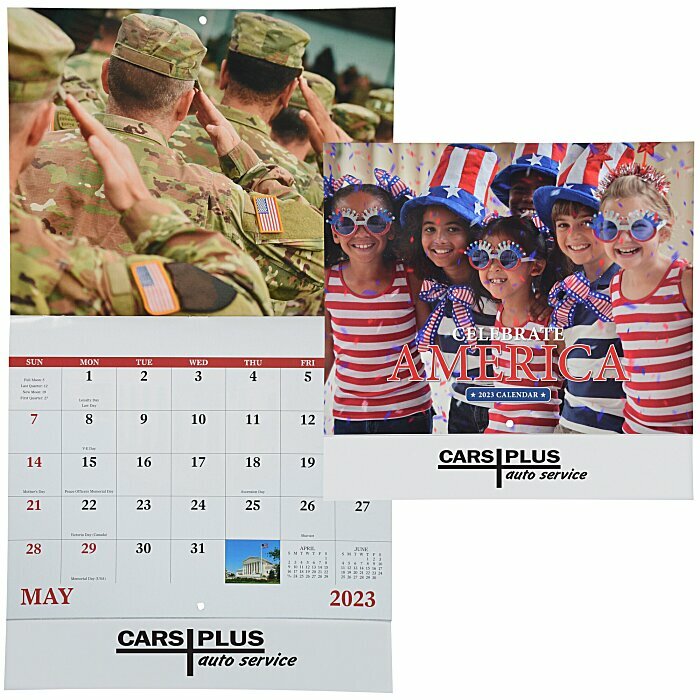 For the spiral-bound version of this calendar, see item #6802-SPCelebrate America Calendar - Spiral; for the calendar with a window imprint, see item #similar item search 6802-W. Your price includes a one-color imprint on the front bottom of the calendar.